The silence at dawn, I think, is sometimes the most beautiful sound of all. 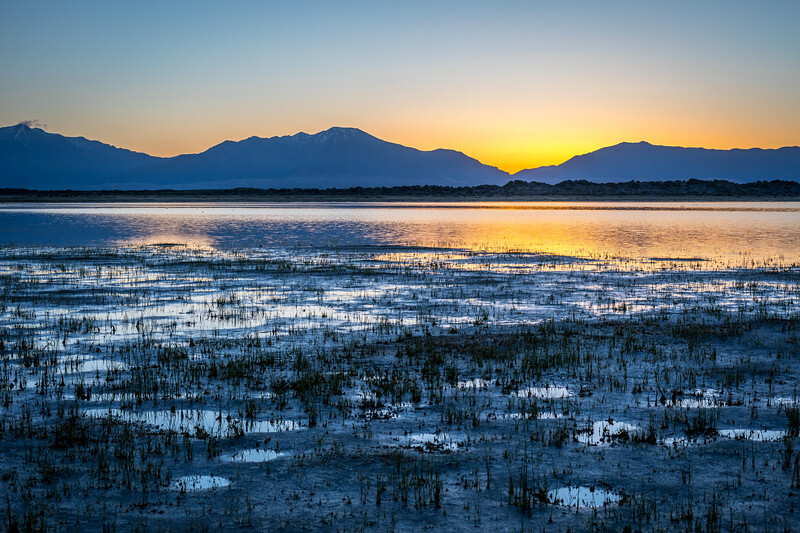 The San Luis state wildlife area features this 890 surface-acre playa lake, with water levels stabilized as in a reservoir, amid rolling sandhills and the alkaline flats of San Luis Valley. Kind of Blue is a landmark jazz music album recorded in 1959, and features sublime performances by Miles Davis, Bill Evans, Wynton Kelly, Jimmy Cobb, Paul Chambers, John Coltrane, and "Cannonball" Adderley. Given its soulful meditations on what it means to be human, and as a timeless reminder of just how precious moments like these are, I thought it an appropriate title for this image. The image was made using a Canon EOS 5D Mark IV digital body, a Zeiss Milvus 50mm f/2 Makro ZE lens, at f/8 for 1/8 second at 100 ISO.